Click on the links below for information on each of the CALLED issues. This second version of the At Home Conversation Starters issue of the CALLED for Adventist Clergy targets both single and married pastors, and chaplains and their spouses. It also features five timely articles and ten short video vignettes, and provides questions to dialogue about with family or colleagues. With a refreshing transparency, the authors have shared their experiences and perspectives, so, we hope that you will be challenged and your understanding and empathy for others in ministry will grow. 3Q17 At Home Conversation Starters is viewed best on your electronic tablet or smartphone. For instructions on how to download the NAD Ministerial Resource app Click this link to subscribe on an Apple powered device, or this link for a Google Play device. 2Q17: Church and School: Enemies? Or Partners? The closing of many Adventist schools over the last few years highlights the observation that Churches and Schools seem to be competing for a seemingly dwindling pool of resources. Is it possible to combine resources toward a single mission? The newly released special edition of CALLED magazine answers these questions as it focuses on the relationship between pastors and schools. CALLED for Adventist Clergy can be viewed on your smartphone or tablet and can be downloaded on either the ios or googleplay platforms. You can also download a PDF version. 1Q17: Matching Gifts with Mission - Are people placed in ministry positions just to fill empty slots? Or does your congregation’s ministry selection process match gifts with mission? The newly released special edition of CALLED for Adventist Clergy answers those questions in its focus on equipping members for service. 3Q16: Cookie Cutter Evangelism is Futility - Radical Evangelism is the theme of 3Q16 CALLED for Adventist Clergy edited by Jose Cortes Jr. Jose has assembled a collection of articles on evangelism. 2Q16: Free Car, no strings attached - For decades Church of the Valley has refined the Acts of Kindness ministry and renovates houses, gives cars away, provides breakfast everyday for a local public school, all with no strings attached. 1Q16: How Do You Answer the Press When One of Your Members Runs for President? - These articles and more will be help you better communicate the gospel and its mission in efficient and effective ways. 4Q15: Special Edition of CALLED focuses on Professional Development - The fourth quarter issue of CALLED digital magazine for pastors highlights professional development resources for Adventist pastors in the North American Division. 2Q15: At Home Conversation Starters - A New Resource for Pastoral Families was added this month to the NAD Ministerial Resources digital library available as a tablet device app. At Home, Conversation Starters is designed for very busy pastoral families who need tools to strengthen, enrich and restore their families. 1Q15: Young Adult Life Featured in CALLED Digital Magazine for Clergy - The threat of losing the millennial generation grabbed the attention of NAD leadership and in 2013 they launched ‘Young Adult Life’, an initiative to study and find options for engaging Millennials. 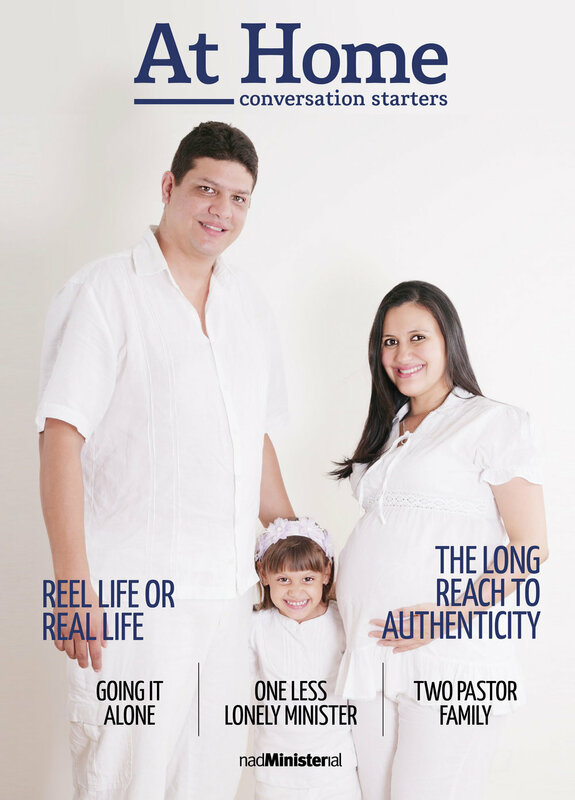 This quarter’s edition of CALLED magazine focuses on the status of young adults in the NAD. 3Q14: Ministry Today in a Culture of Risks - In this quarter’s edition of CALLED for Adventist Clergy, we are addressing the huge reality of ministering in a culture of risks. This edition includes articles covering the subjects of safety, abuse, fraud, rentals, security, media, and the essential work of pastors as shepherds. 2Q14: Special Services is the Theme for CALLED for Adventist Clergy - As clergy our role is to leverage the uniqueness of special services so that they can powerfully accomplish something out of the ordinary, whether baptisms, a funerals, weddings, anointing services, etc. In this issue of CALLED for Adventist Clergy several pastors share their insights on releasing the potential of these services. 1Q14: Passionate Biblical Preaching - In this quarter's edition of CALLED for Adventist Clergy, we have chosen to focus on the preaching of the Word, and on the preachers themselves. Our video documentary allows you to walk side by side with Pastor Randy Roberts, senior pastor at the Loma Linda University Church, as he prepares a sermon. 4Q13: Community Based Churches - Jesus says that we are the salt of the earth. 4Q CALLED for Adventist Clergy features churches that have found ways to mix it up with their communities. 3Q13: CALLED - A Refuge for Refugees - This quarter focuses on the business of church; leading volunteers, school boards, adapting to different church sizes, when to build, risk control, leadership, innovation and other management essentials. 1Q13: Women Clergy Featured in Premier Edition of CALLED -CALLED for Adventist Clergy, an interactive digital magazine for NAD clergy is now available for download to your iPad from the app store.